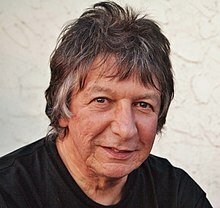 John Barbata (born April 1, 1945) is an American drummer, who was active especially in pop and rock bands in the 1960s and 1970s, both as a band member and as a session drummer. Barbata has served as the drummer for The Turtles, Crosby, Stills, Nash & Young, Jefferson Airplane (for its final album and tour only), Jefferson Starship (from 1974 to 1978), and Sammy & the Holly Rebs with guitarist Sam DeLuca. Already an established session drummer when he joined The Turtles, Barbata was one of the pioneering drummers who converted pop music rhythms from the down-beat rhythms of the 1950s to the off-beat rhythms that have dominated ever since. Barbata was born on Easter, April 1, 1945, in Passaic, New Jersey, to Martina and Charles Barbata. He was raised in Saranac Lake, New York, till the age of seven and later in Nutley, New Jersey. His mother was an Austrian emigrant who worked as a records keeper at a hospital and his father was a firefighter and mechanic. He was the youngest child of three, preceded by his older brother Chuck and sister Lauren. His first claim to fame came to him as a young infant when his mother found a man stranded in a boat that had run out of gas. The man was Albert Einstein, who held the child as Barbata's mother delivered them to shore. Barbata's interest in percussion began as he watched his older brother drumming in the marching band. After expressing interest in drums, Barbata's brother brought him to a friend's house where Barbata played on his first trap set. The first song he ever learned to play was "Put Another Nickel In" by Teresa Brewer. At the age of 16, Barbata's family relocated for a brief stint to Rialto, California where Barbata formed his first band called the Velvatones. Soon after the family moved to San Luis Obispo, California where Barbata went to high school and followed in his older brother's footsteps and joined the marching band. The rudimentary rhythms and beats from Barbata's time in drum line heavily influenced his technique in later years. 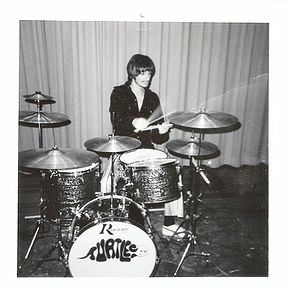 He soon went on to help form a band called the Ambassadors and bought his first set of drums. 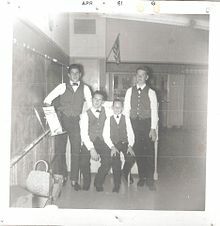 After playing gigs every weekend for 6 months, Barbata was approached by an instrumental surf rock group called the Sentinals to play drums. The Sentinals toured all over the country with acts such as the Righteous Brothers and released the album Big Surf! which produced a #1 West Coast surf hit called "Latin'ia". After five years with the Sentinals, the band broke up, and Barbata along with his band mate, Lee Michaels, headed out to Hollywood. Shortly after, Barbata joined Joel Scott Hill of Canned Heat, after his drummer left and went on to play with the Mamas and Papas. Joel, Barbata, and Chris Ethridge later went on to put out the album L.A. Getaway in 1971. Barbata practices before a gig with The Turtles, 1965. In the spring of 1966, The Turtles were looking for a new drummer and Gene Clark of the Byrds recommended Barbata. After an audition with Howard Kaylan, Mark Volman, and Al Nichol, Barbata had the gig. The first song Barbata recorded with the Turtles was "Happy Together" and on March 25, 1967, "Happy Together" went to #1 on the charts and stayed there for three weeks. One of his trademarks was to incorporate stick twirling into his performances, along with Dino Danelli of The Rascals and Carmine Appice of Vanilla Fudge. The Turtles were invited to play on the Ed Sullivan Show (May 14, 1967), The Smothers Brothers Comedy Hour, Hollywood Palace, American Bandstand, Where the Action Is, The Johnny Carson Show and Shindig. The group went on to have many other hits with Barbata, including She'd Rather Be With Me, You Showed Me, She's My Girl, and Elenore. Barbata also appeared on The Dating Game show. In 1970, Barbata was invited to join CSNY after Neil Young fired their previous drummer, Dallas Taylor. They soon after recorded the live album 4 Way Street, which went to #1 on the Billboard200. Included on the album was the protest song "Ohio", about the Kent State College shootings. Barbata continued to play on eight albums with CSNY and the individual members of the quartet, including Graham Nash's Songs for Beginners and Wild Tales, Graham Nash and David Crosby's Graham Nash David Crosby, Stephen Stills' Stephen Stills album, and filling in for Kenneth Buttrey with The Stray Gators on Neil Young's live album Time Fades Away. While Barbata was drumming with CSNY, David Geffen tried to persuade him to join The Eagles. Barbata declined as he was already in one of the biggest musical groups at the time. In 1972 while CSNY were on an extended break, David Crosby introduced Barbata to the band Jefferson Airplane, who were looking for a new drummer after firing their previous drummer, Joey Covington. Soon after, Barbata joined Jefferson Airplane and went on to record the album Long John Silver (1972) and the live album Thirty Seconds Over Winterland (1973). When members Jorma Kaukonen (guitarist) and Jack Casady (bassist) left to pursue their band Hot Tuna, the band reformed into Jefferson Starship, adding new members Craig Chaquico and David Freiberg. Their debut album together was Dragon Fly (1974). Barbata later went on to play on Red Octopus (1975) which was the number one selling album of the year with the single "Miracles". In 1976, they released the album Spitfire and in 1978 they released Earth. Jefferson Starship appeared on the cover of Rolling Stone in 1978. They also performed as the unnamed band in the Star Wars Holiday Special (1978). In October 1978, Barbata was in a massive car accident in Northern California in which he broke his neck, arm, and jaw into 32 pieces. It took Barbata over a year to heal from the accident, forcing him to resign from Jefferson Starship. ^ a b c d e f g h i j k l m Barbata, Johny (2007). The Legendary Life of a Rock Star Drummer. DJ Blues Publishing Co. ISBN 7774585796. ^ "Big Surf!". AllMusic. All Media Network. Retrieved 22 December 2016. ^ "L.A. Getaway". AllMusic. All Media Network. Retrieved 22 December 2016. This page was last edited on 21 March 2019, at 05:05 (UTC).